Supreme Court Registry has received two Office Memoranda from Ministry of Law and Justice regarding the grievance received by the Department from Shri Subhash Chandra Agrawal, about naming/renaming of Library by the SCBA for the sake of money. 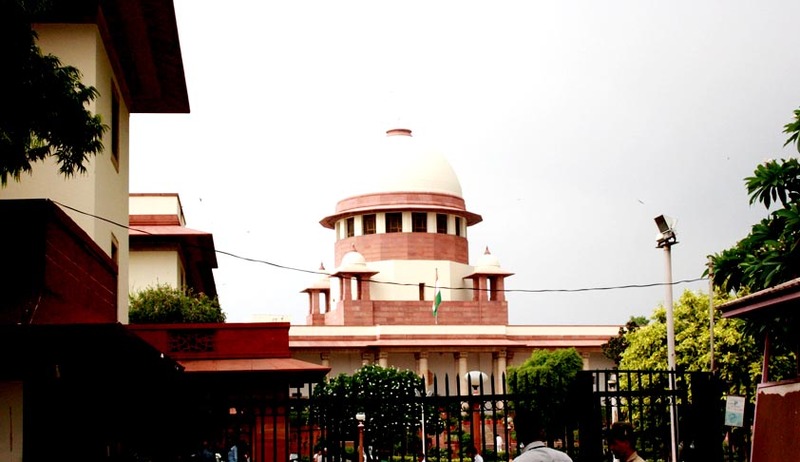 Hence, an order dated 26.8.2013 was brought to the notice of the current secretary of the Supreme Court Bar Association, according to which in future, no portion of the Supreme Court building allocated to SCBA for the use of its members, will be named by the SCBA without prior approval of Hon'ble the Chief Justice of India. It was claimed by the aggrieved that an ugly and undignified controversy was generated on re-naming of Supreme Court library after another eminent legal luminary in place of earlier named after another eminent legal luminary just through role of money-contribution. This incident highlights the importance of the portal-, resulting in reform and advocating compulsory inclusion of such portals at websites of all public-authorities of Union and state governments whereby members of public may be able to post their suggestions/submissions/grievances/complaints etc relating to them in a time-bound period by getting a registration-number for every posted submission. Read the order and grievance here.